After working in marketing and management for 10 years, Barbara wished to work with people on a more personal level. Thus, she completed he MSW degree at Virginia Commonwealth University in Richmond, Virginia in 1998. As graduate intern, Barbara worked at the University of Virginia Hospital in the Department of Neurology and Family Medicine. There she received training in Cognitive Behavioral Therapy and Structural Family Therapy, as well as mindfulness based psychotherapy. Following her 2-year internship at UVA, Barbara worked as resident therapist for People Places of Charlottesville, providing individual, couples and family therapy. After completing her 2-year residency, Barbara continued to work for People Places and continue her training in Structural Family Therapy, Attachment, and Mindfulness-based Trauma work. Between 2004 and 2007, Barbara was on maternity leave. In December of 2010, Barbara completed a 3-year training in mindfulness based trauma work under the guidance of Dr. Sharon Beckman-Brindley. 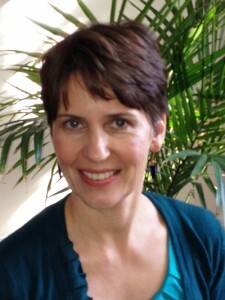 In July 2011, Barbara completed a 4-year training in Structural Family Therapy, lead by Dr. Steve Greenstein. Between 2007 and now, Barbara has been providing individual, couples and family therapy as well as supervision to therapists in training. Barbara continues to refine the art and science of therapy by participating in regular supervision groups, by staying informed of current research, and by attending conferences.